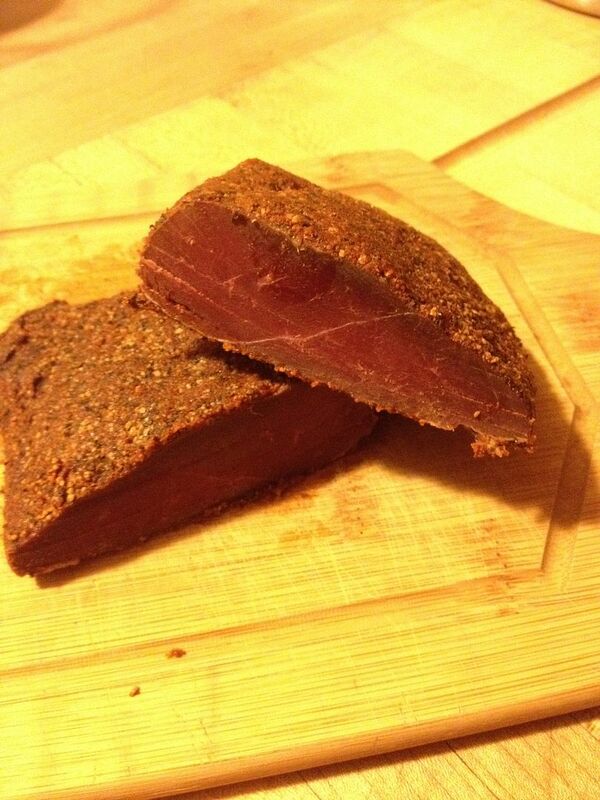 For our final experimentation with this seasons goose, lets take a gander at a great recipe for pastrami that I found at Hunter Angler Gardner Cook. I followed the directions exactly for the cure. It was easy to make. Just make sure you have some curing salt on hand. Breasts after one day in the cure. After the full 36 hours in the cure. 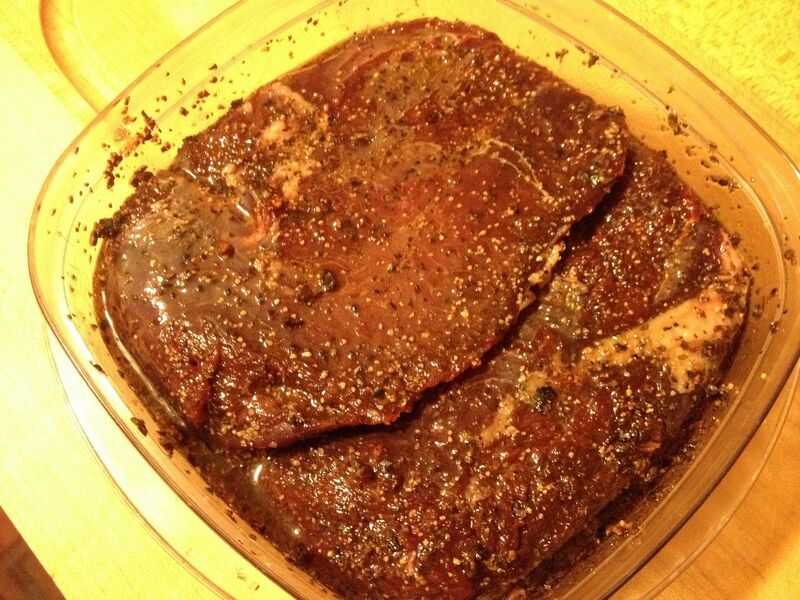 I rinsed the meat well, then prepared my pastrami rub. Here is where I deviated. I used the Close to Katz pastrami rub recipe from Amazing Ribs. You can find the recipe here. Just a quick note. If you are going to make your own pastrami, regardless of whether your meat quacks, honks, moos, or oinks, you can't beat this rub recipe. 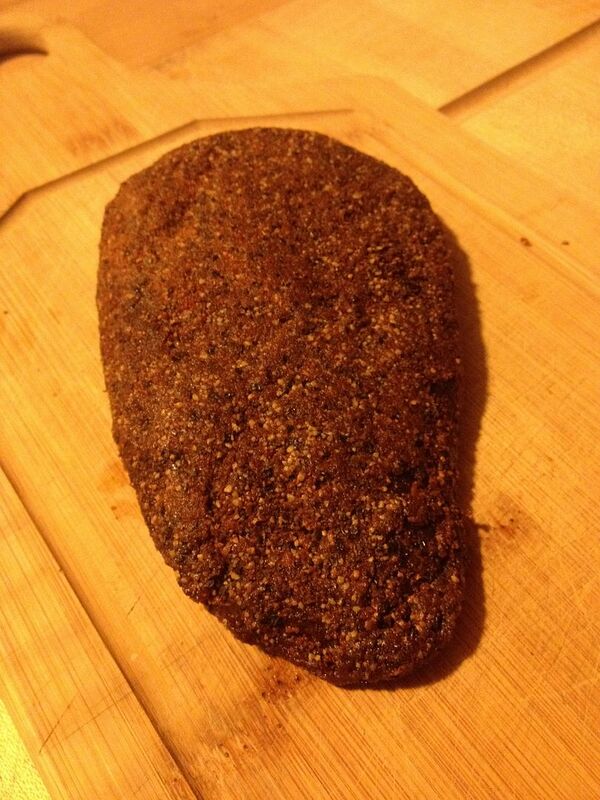 I have tested on real breathing people from the Bronx and they loved the beef pastrami that I smoked using this rub. Give it a try. Lets move one. 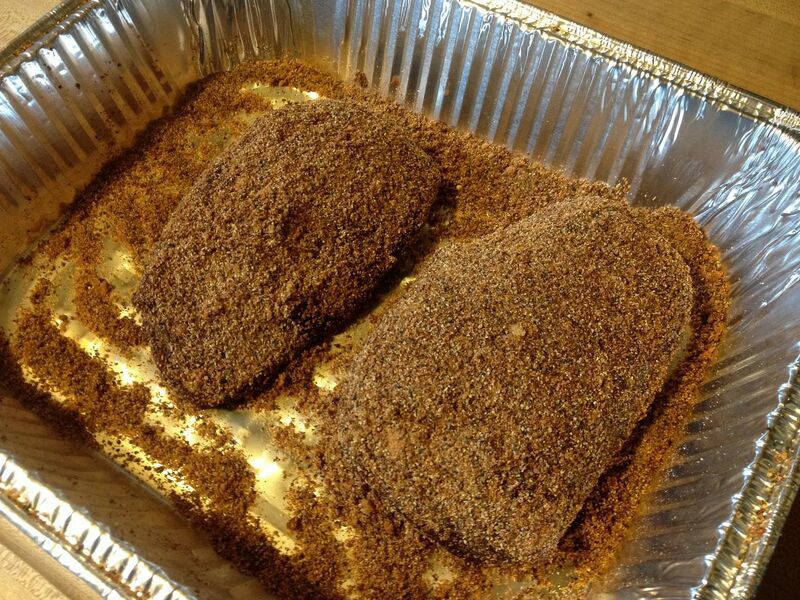 After preparing the rub, I dipped the goose breasts in water so that the rub would stick to the meat, applied the rub liberally, then wrapped them in foil and placed them in the refrigerator for a three day rest. 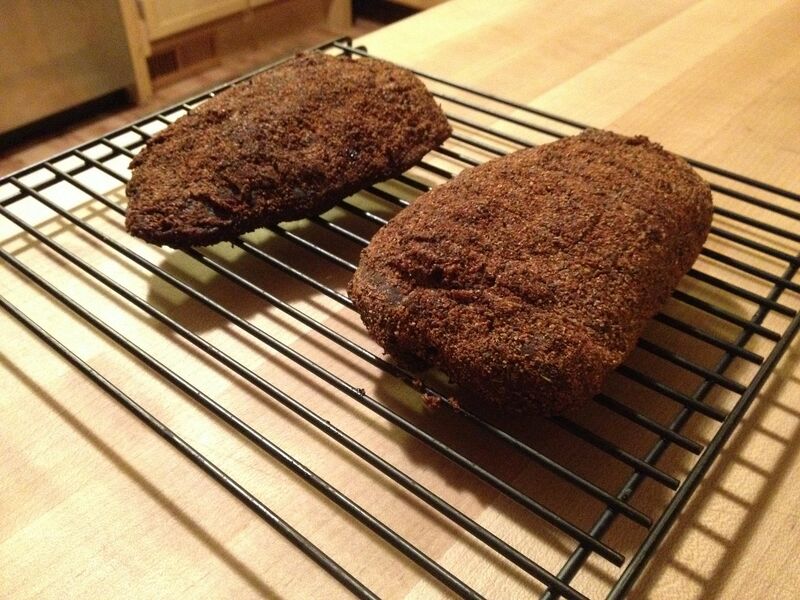 Here are the breasts after three days in the refrigerator and before smoking. I smoked the breasts at 180 F with pecan wood in the ash pan until they reached 145 F internal temperature, about three hours. Here is the final product. Now, I would never suggest that pastrami made from goose breast is better than pastrami from real beef brisket. But, the goose version is pretty good in its own way. Obviously, the meat is not as fatty. But, the taste was there. After a sandwich on crusty rye with spicy mustard, I was happy with how this turned out. So, lucky enough to have some fresh goose? 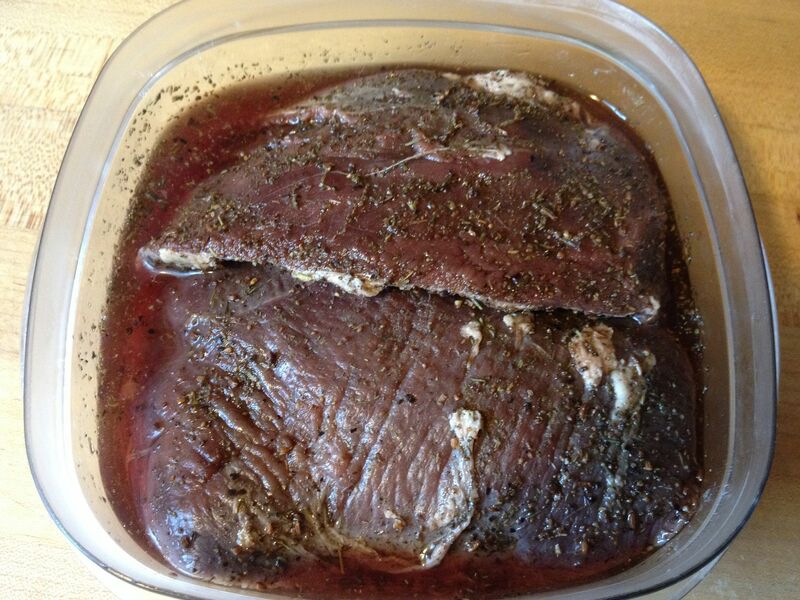 Consider giving this or one of the other goose recipes that I have tried on the blog a try. You won't be disappointed.